For the last day under Biryani and Pulaos, I wanted to try a biryani with Rajma. I have had this recipe for many years and every time I check my file, I think of making it and then again postpone. 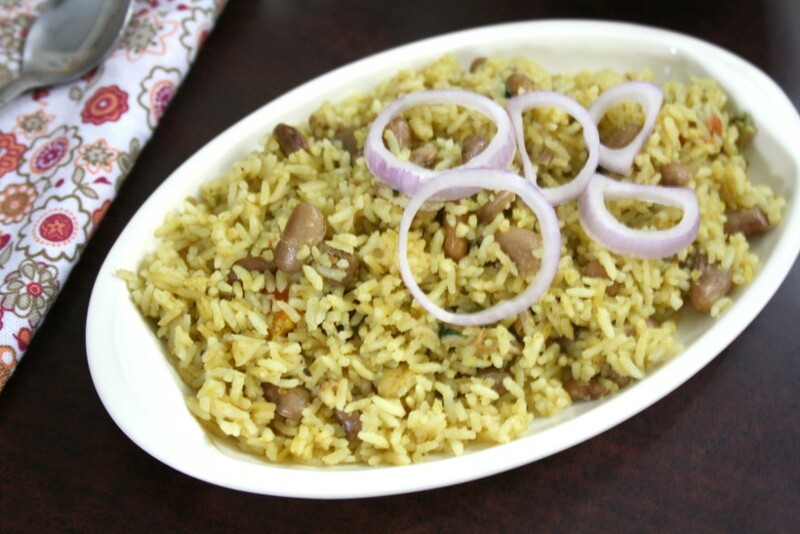 Last month when I got the darker variety of Rajma just for making this biryani, but days passed by and the Rajma had to be used up without being made as a Biryani. So I got another packet this month just for this biryani and unfortunately the darker variety was not available. 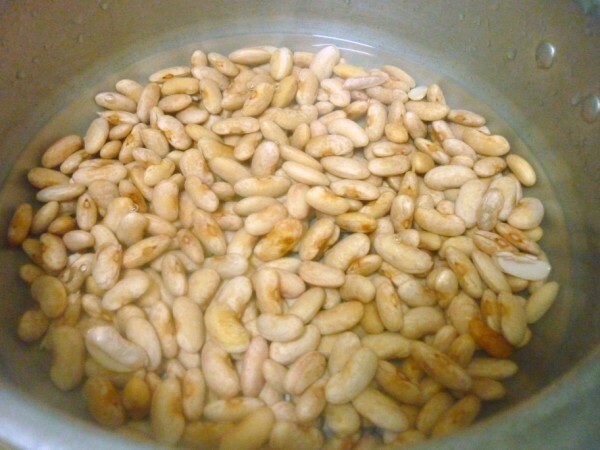 When I planned to make this on Saturday something came up and I had to refrigerate the beans even though I had it soaking overnight. I was finally able to make it after 48 hours, though actual soaking might have been for 8 hrs, rest of the time it was refrigerated. When I pressure cooked, I was remembering the dark brown Rajma which never gets cooked properly and kept the same timing for this lighter coloured ones as well. Result was the beans was completely cooked and I couldn’t have it cooked again with the rice. 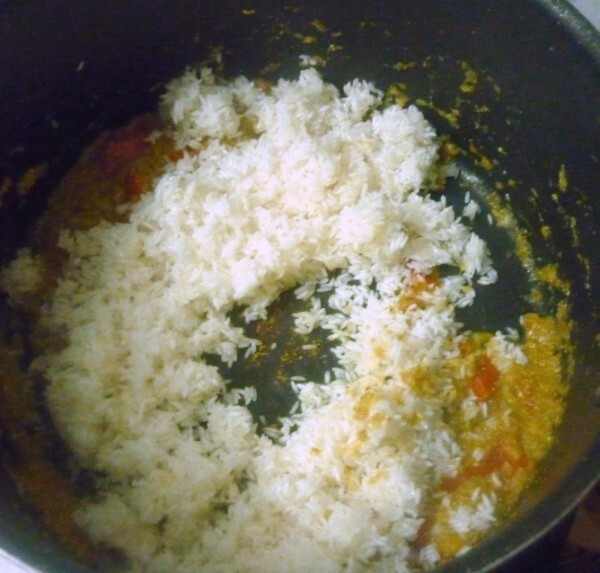 So I drained the water, used little bit of beans while cooking the rice. 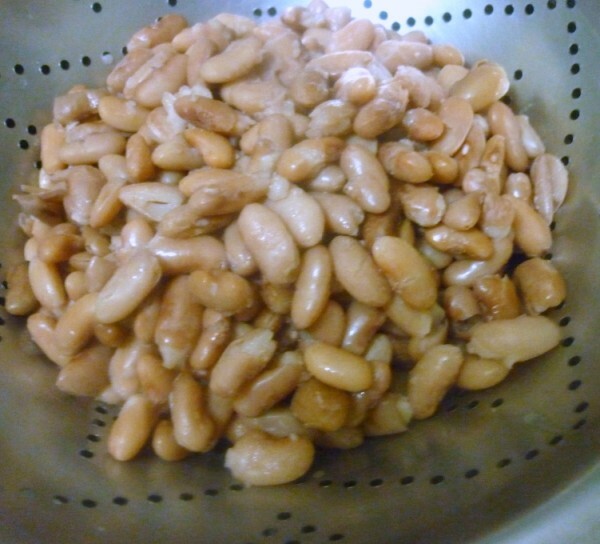 The second half was done by doing a dum process of the beans with the rice. And that ended up being perfect biryani rice for you. Wash and soak Rajma overnight or for 8 hrs. Once done, pressure cook with a pinch of salt. Drain & keep ready. 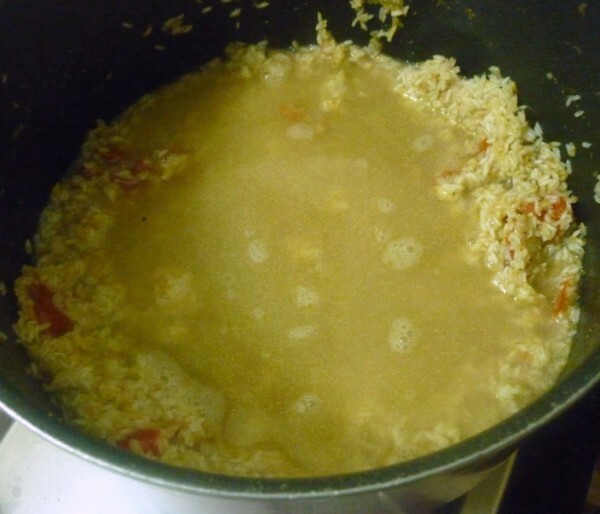 Use the water that’s left out for cooking rice. 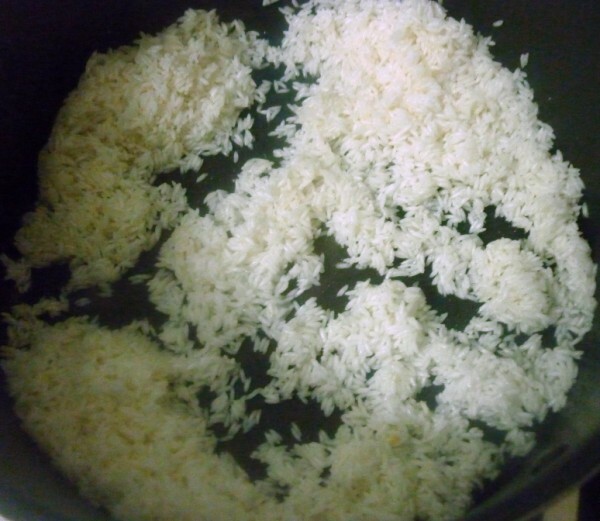 Wash and soak th rice for 15 mins. 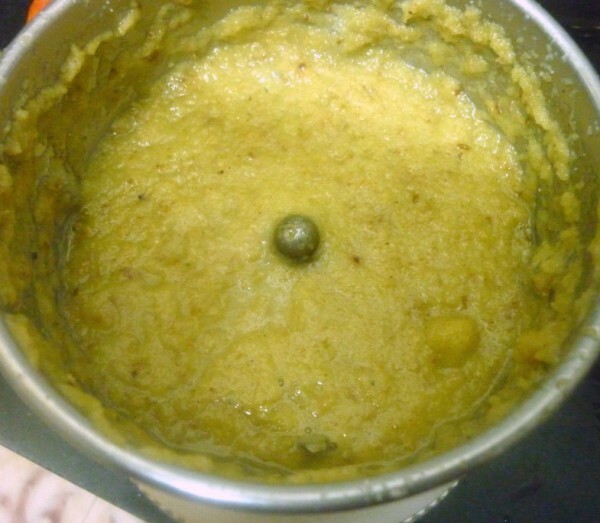 Heat ghee & oil in a non stick pan. 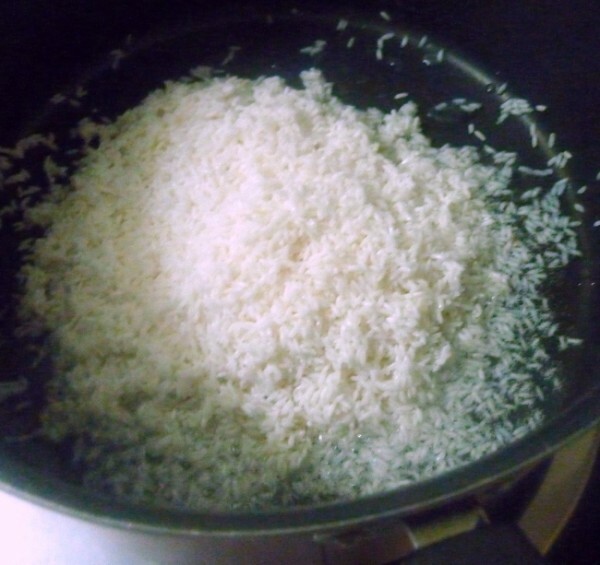 Drain the rice and add to the hot pan, roast rice till stiff for couple of mins and remove. 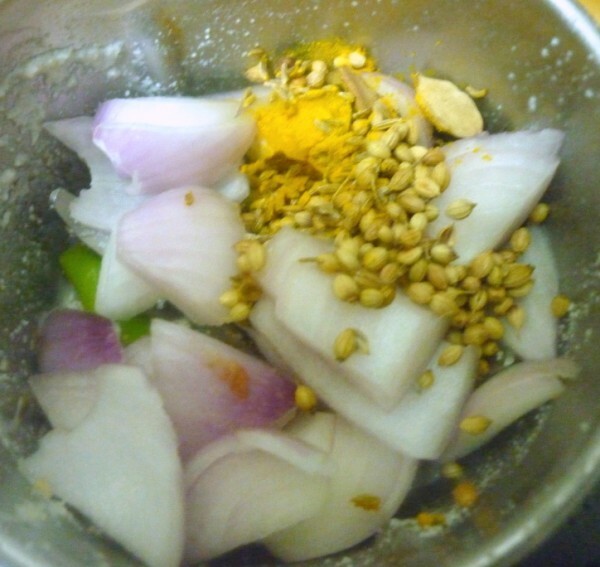 Grind the masalas listed under the paste to a smooth texture and keep it aside. 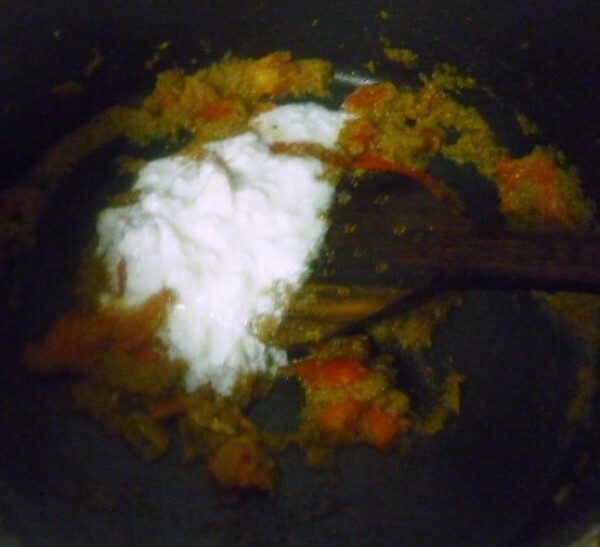 Then in the remaining oil & ghee mixture, fry the ground masala paste till the raw smell leaves. Add finely chopped tomatoes, salt. 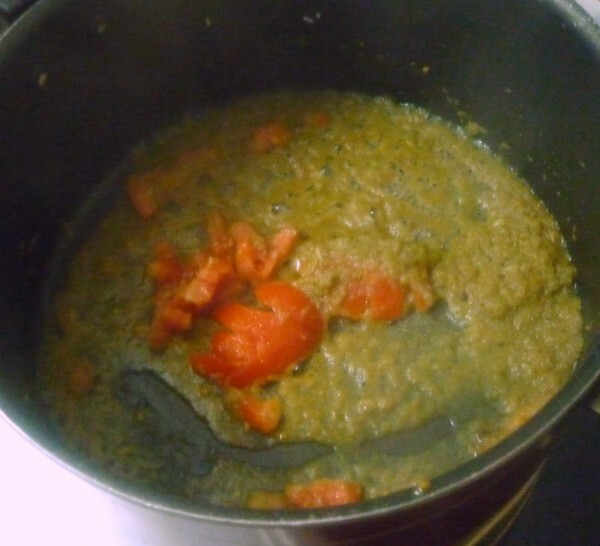 Simmer for 5 mins for the tomatoes to soften. Remove the pan from fire and add curds. 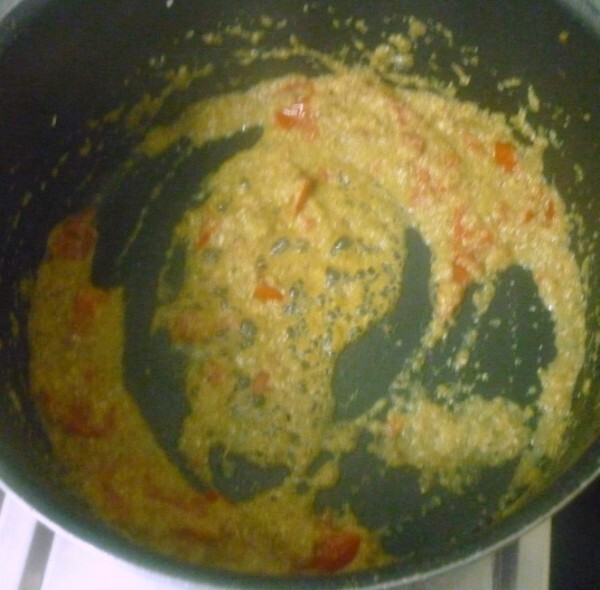 Saute well and then add the fried rice, turmeric salt and 4 cups water if you are using regular rice, else 3 cups water if using basmati rice. You can use the water you have saved up from cooking rajma. 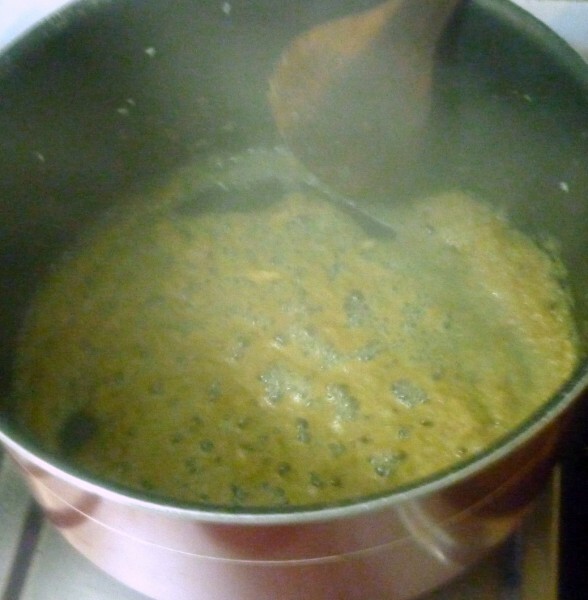 When the mixture starts boiling close the pan with a tight lid and cook in simmer. Once the rice is done, layer with cooked rajma, cover again and dum over tawa for 10 mins. 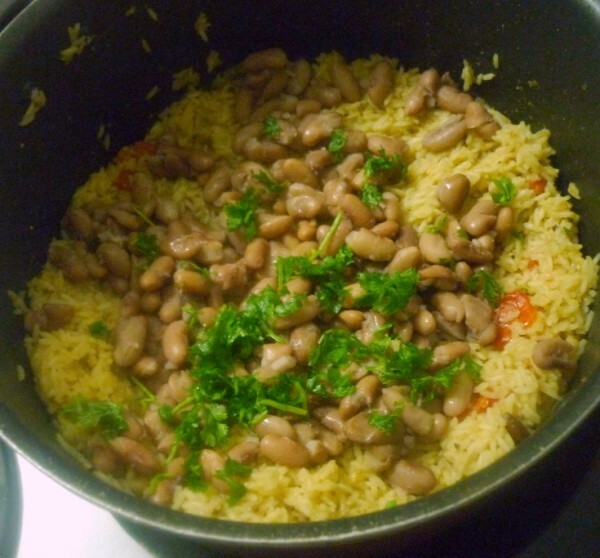 This recipe actually called for the beans to be cooked along with the rice. 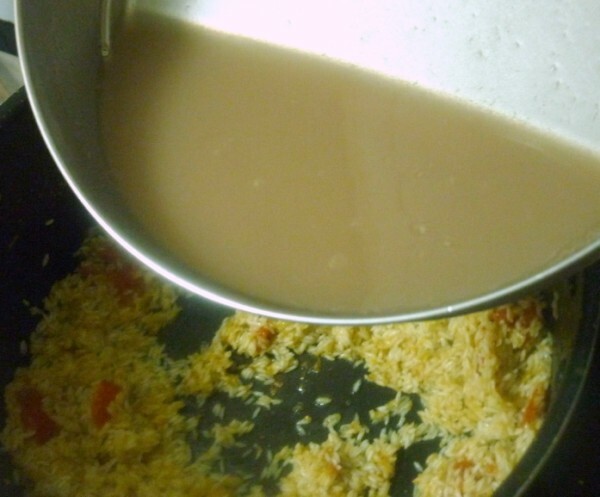 Since my beans were overcooked already, I added the water from the cooked beans for cooking the rice. Optionally you can also add handful of cooked rajma for more bean taste. Even if the Rajma is overcooked, when you do it finally in the dum process, you will find that the beans gets well mixed with the rice. 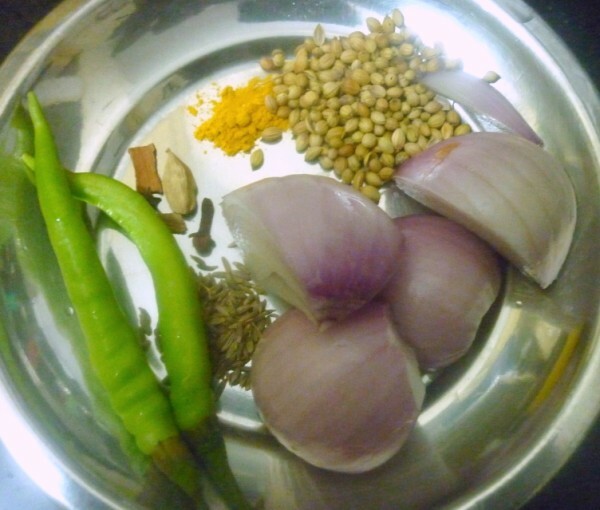 Valli I think its better to cook raajma separately…raajma takes long to cook and rice is done faster..as a result we wud b left with hard raajma..so blessing in disguise..like the masalas..
rajma in rice . quite interesting ! Wow a healthy Biryani just loved it..Bookmarked!! 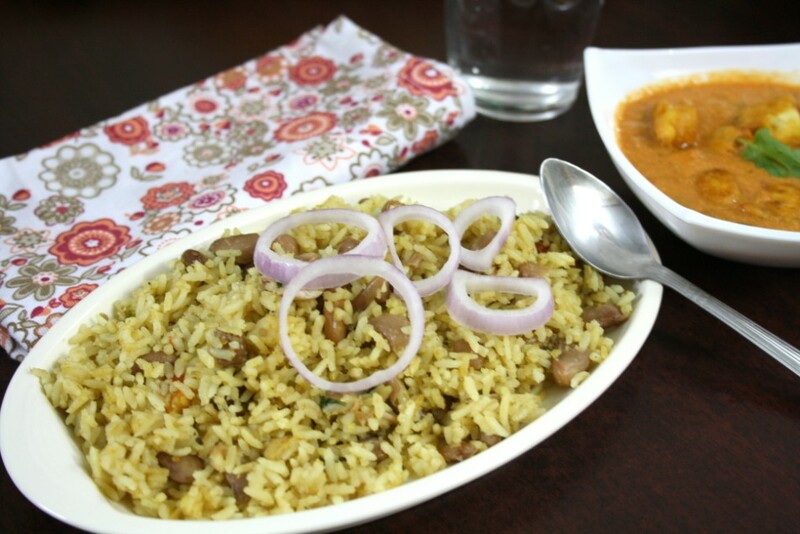 Yummy briyani, looks super delicious and inviting. Looks delicious and quite healthy ,spicy…..
very healthy one pot meal! Red or white, I am sure they tasted great! A nutritious pulao for sure.